2014 Honda City global unveil on 25th November? 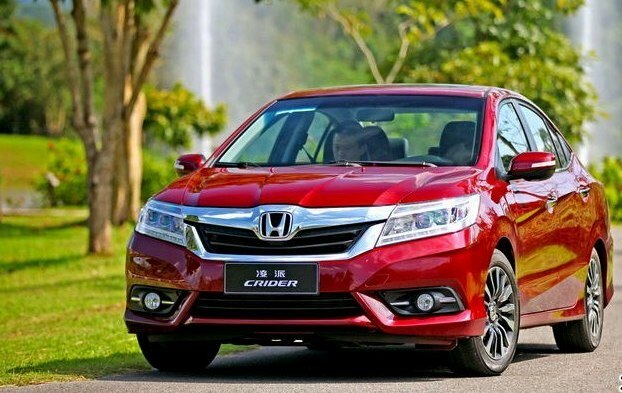 The 2014 City sedan is just around the corner what with Honda dealers in India clearing existing inventory of the current generation model. If you are willing to buy the current-generation version of the car, be sure to negotiate hefty discounts as the new version is just weeks away from being showcased. The 2014 City will be unveiled in India on the 25th of November, 2013, according to a tweet from Siddharth Patankar, the presenter of NDTV Car & Bike Show. The 2014 Honda City will get both petrol and turbo diesel engine options. Production of the 2014 City sedan is due to commence early next year, following which nationwide deliveries will begin. The unveil of the 2014 City sedan will be the global showcasing of this car. Apart from the Indian car market, Honda has plans of selling the 2014 City in many other car markets across the world including many South East Asian countries such as Thailand, Indonesia and Malaysia. Three generations of the City sedan sold in India have been available only with a petrol engine. This has meant that the City sedan has seen its market share being eroded by turbo diesel engined versions of new entrants such as the Hyundai Verna Fluidic and the Volkswagen Vento. With a diesel engine option in tow, the 2014 City could regain marketshare in the Indian C-segment sedan space. The diesel engine of the 2014 City is likely to be a more powerful version of the 1.5 liter i-DTEC all-aluminium turbo diesel unit found on the Amaze compact sedan. Honda could add a variable geometry turbocharger to the 1.5 liter turbo diesel engine outfitted to the 2014 City sedan, boosting power and torque figures of the car. The new City will be based on the 2014 Jazz platform, and will also see a complete redesign in terms of design. The 2014 City could grow in size and is also likely to pack in a host of new features in keeping with the growing demands of the C-segment sedan buyers.